Recently at The Southend-on-Sea Linux User Group (SoSLUG) Jam, I saw demonstrated a system using brainwaves to control radios http://www.timeleapji.com/mindio.html I only managed a very brief chat with Ji Hu as she had to catch a train, but I was impressed with what she had accomplished. A little bit more about her system “Mindo” and the SoSLUG Jam can be found here http://www.lovesouthend.co.uk/local-news/southend-raspberry-jam-august-2014.html The key phase I got from Ji was that it was based around a toy called Mindflex and that it was easy to modify for her purpose. Shortly after getting home, I was on the case, doing research about this toy and the modifications needed. A good starting point for background reading on the modifications required is http://frontiernerds.com/brain-hack This describes how to get it working with an Arduino that interfaces to a visualisation system, all links to software needed for the Arduino and the visualisation host are provided. There is other information out on the Internet, most refer to the same software and easy modifications. There is one other source, that describes a more difficult modification that allows the raw brain data to be directly output http://darrenmothersele.com/blog/2013/10/07/mindflex-raw-eeg-data/ This requires special soldering skills on some of the micro-miniature components inside and has not been tackled by me at the moment, it might be at a later date. These series of blogs will refer only to my experiments concerning the first and easy modifications, but will however refer to the second, in-depth mods. 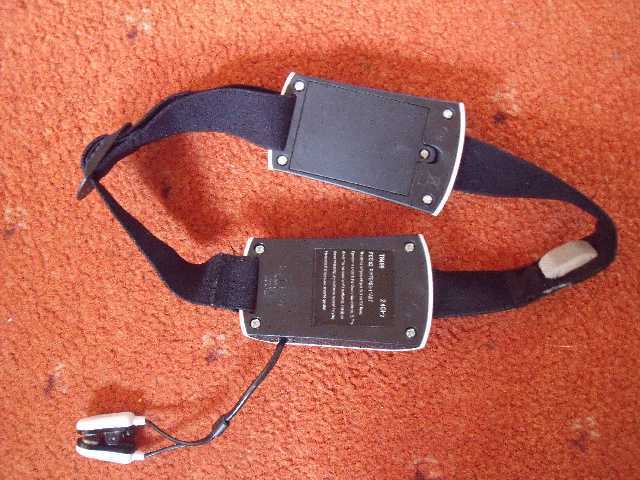 After all this reading, it was time for me to invest in one of these toys, I managed to secure a dual headset item (Mind Flex Duel) on Ebay for a very reasonable sum, when it arrived, it was almost brand new and with a full set of batteries. 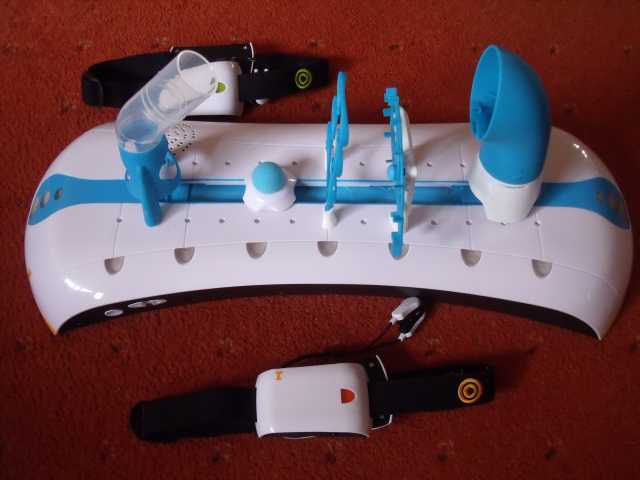 The game comes with two headsets, a base console and many parts to allow you to create your own obstacle course for either one or two players to engage in six different games that involve using your mind to control a fan raising and lowering a sponge ball. I did of course try this out and had some fun with this before moving on to explore the inner workings of one of the headsets. The next part will look at the headset in more detail and explain the innards of it, getting ready for the modifications.